A mighty medieval fortress, Ljubljana Castle makes the Ljubljana silhouette unique. 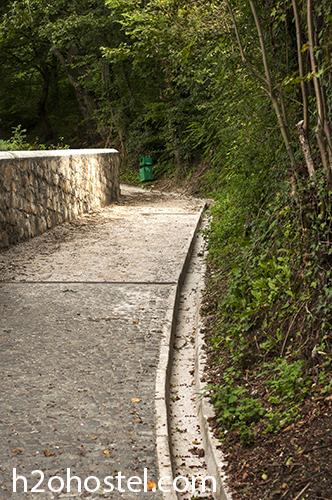 It is not just an interesting tourist point but offers idyllic grounds for long strolls or recreational runs for many locals, being a green escape just minutes from the lively city centre. 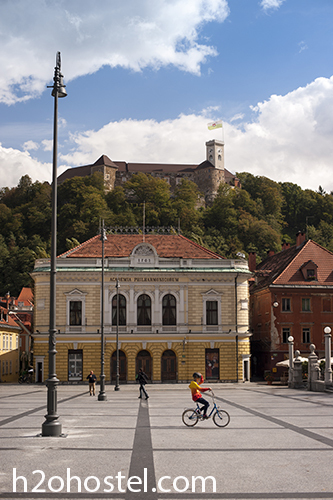 Castle from Kongresni trg (Congress Square) and the Slovenian Philharmonic building in front. 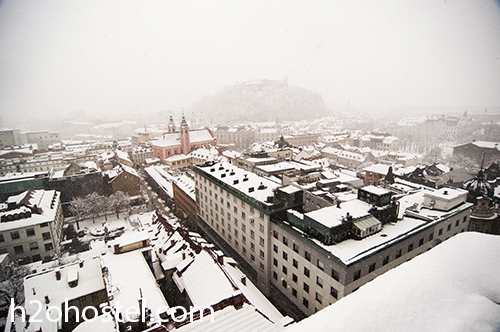 What is often called the most beautiful view in the city also looks very interesting in the winter: Castle hill in the snow viewed from the Skyscraper (in Slovene called: Nebotičnik). 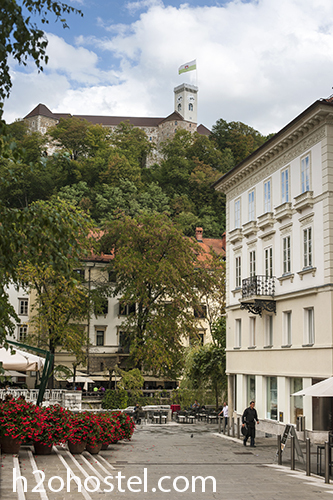 Overlooking the old city centre – Ljubljana Castle – view from Dvorni trg Square. The top of the hill is easily accessible by foot. 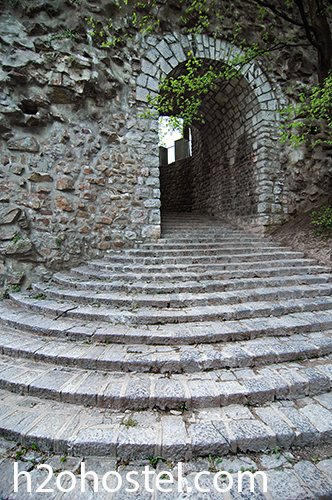 Its rather steep but short walk up the paths through the forest and integrated architectural ruins brings you to the top quickly. To the south-west lies green Trnovo. 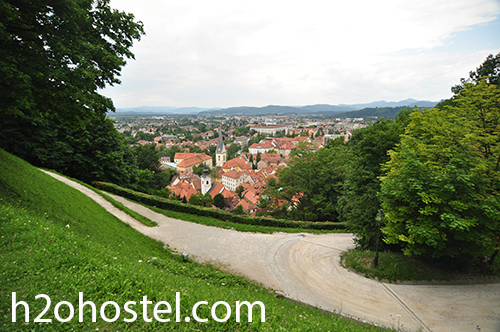 Mountainous border in the northern background with the Poljane neighborhood just beneath the Castle hill. 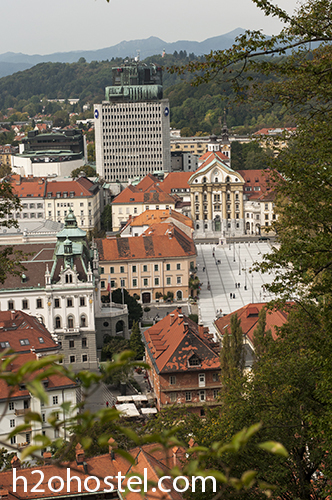 Through the canopies one can spot many of Ljubljana’s sights, like Congress Square on the left picture. The Courtyard of the Castle is open to anyone and has a cafe and a restaurant. For just a few Euros you can see the Virtual Museum and climb up the old tower. 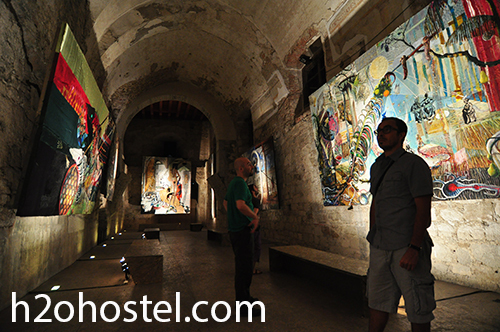 Often there is one or more exhibitions going on in different halls scattered throughout the sort-of round Castle. And when you do visit the Castle, don’t be too much a tourist and be sure to explore the eastern side of the Hill. 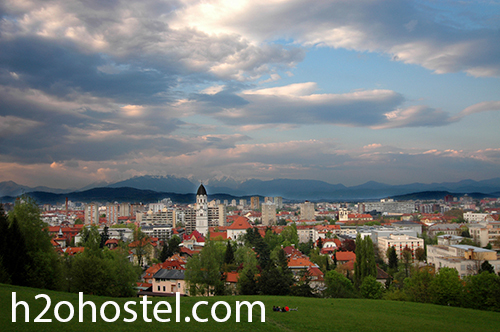 You’ll be surprised to find some Plečnik works.